No matter what industry you’re in, or where you are in the world, if you rely on ‘blue-collar’ workers and a service industry workforce, you’ll face the all-to-familiar problems of trying to attract, engage, and retain the right people to help power your business and deliver the best service to your customers. According to research we carried out at the start of 2019, in industries like hospitality and retail, more than half of all businesses say it’s hard to recruit while closer to 60% say retention is also a problem. Historically, it’s been easy for all of us to claim this an HR problem. The harsh reality is this impacts every level of the business. Our research also showed staff shortages arising from problems with recruitment and retention have a detrimental affect on both growth and productivity. 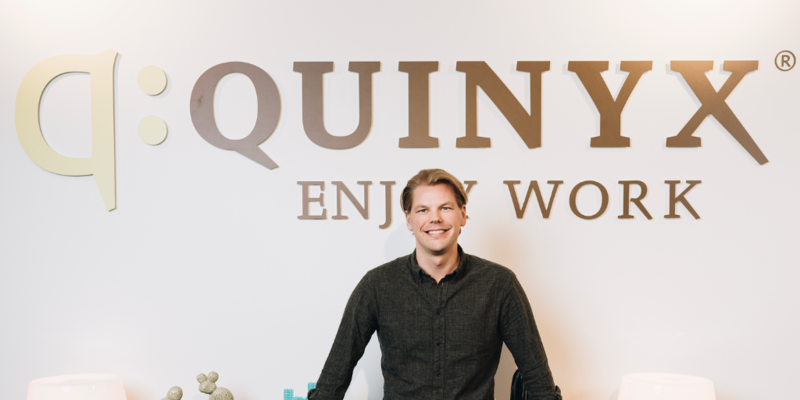 As Quinyx Founder & CEO, Erik Fjellborg says: “The nature of the workers who power the economy is changing rapidly. The rise of the service sector means ‘traditional’ blue-collar roles are just one element of this increasingly diverse workforce. And as new technologies emerge, certain manual tasks are becoming automated, meaning employers must find ways to recruit and equip workers with a new 21st century skillset. We don’t claim to have the silver bullet for firms facing this looming crisis. But we do know – from first-hand experience – that there are some effective levers for employers to improve worker satisfaction, increase productivity and reduce churn. In the UK alone, by taking steps to improve recruitment and retention in shift workers, an additional £7.6 billion of economic output could be achieved and an extra 31,000 jobs created. Here are four different ways you can start improving your recruitment, retention and employee engagement. Flexibility remains key to attracting, engaging and retaining workers. Although flexible working has become more prevalent across all segments of the workforce in recent years, more can always be done. Our research found 86% of employers recognise the importance of flexibility for retaining workers but a whopping 79% of service industry workers don’t have this option. If we’re all serious about addressing the problem, then something has to change. For workers in manual and elementary service roles in particular, offering more flexibility when it comes to swapping shift work or greater visibility of staffing schedules can make a huge difference to job satisfaction. A one-size-fits-all strategy for flexibility won’t work. Instead, you should find ways to give your workers a voice and a choice, delivering the type of flexibility that would work best for them. It’s only by starting a conversation with your employees that you can find this out. If you want dive deeper into unlocking the potential of a flexible workforce then download our free guide here. Using technology to offer greater flexibility or help staff navigate unsocial hours can be easy-to-implement and cost-effective. Manual and elementary workforces can often be large and disparate, meaning that traditional methods of staff engagement – face-to-face team meetings, training sessions or socials – can be difficult to execute. The good news is that our employer survey uncovered some smart uses of technology that can make up the miles when it comes to engaging and retaining these workers. Some options include using online training modules to help staff upskill from afar or using apps/online platforms to communicate faster and more effectively. Cloud-native and mobile first workforce management solutions are part of the technology that can help – and our worker sentiment survey found that nearly a third of workers believe technologies that allow business schedules to be viewed, shared and managed from an app could help their businesses increase flexibility. Taking some simple steps to support workers as they work their way up the career ladder can also help you manage your talent pipeline. 25% of blue collar workers leave their jobs because of lack of progression while 32% leave because of low pay. When working to tight margins and rigid organisation structures, these two factors can often be hard to change. Yet, these very workers are a brilliant asset if you’re looking to find ways to future-proof your talent pipelines across your organisation. Their experience and understanding of the day-to-day operations of a company can be invaluable when given the support and opportunity to move up the ranks. Training, giving your employees upskilling opportunities, and clear communication will all help employees feel like you are investing in them. Having a strong culture and prioritising employee engagement are critical in both attracting the right people and then making sure they stay with you. At Quinyx, we want to create a better life for millions of people by improving their work lives. We want to see happy employees, happy customers, and happy businesses. We want to see companies who rely on blue collar workers and a flexible workforce putting the employee experience at the forefront in order to deliver incredible customer service and create a profitable business. Download this guide for an in-depth look at the tactics and strategies you can use to improve engagement and retention in your business. Prioritising these four elements will not only help future-proof your business, but will enhance the productivity and happiness of your workforce.